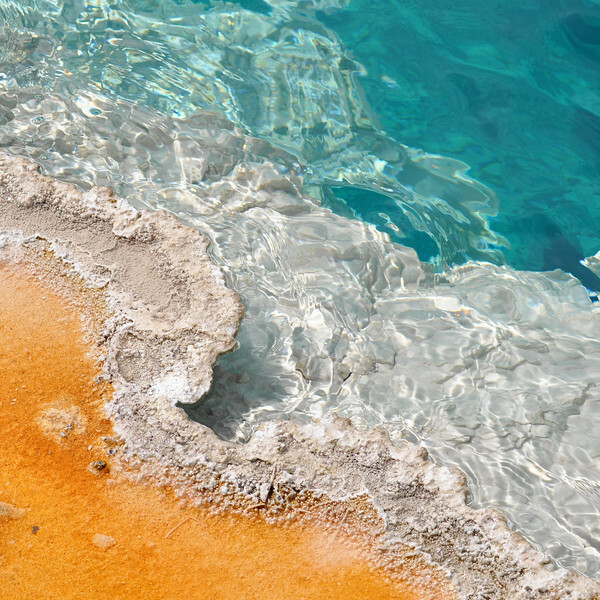 The deeper the water, the deeper the color in the hot spring pools of Yellowstone. 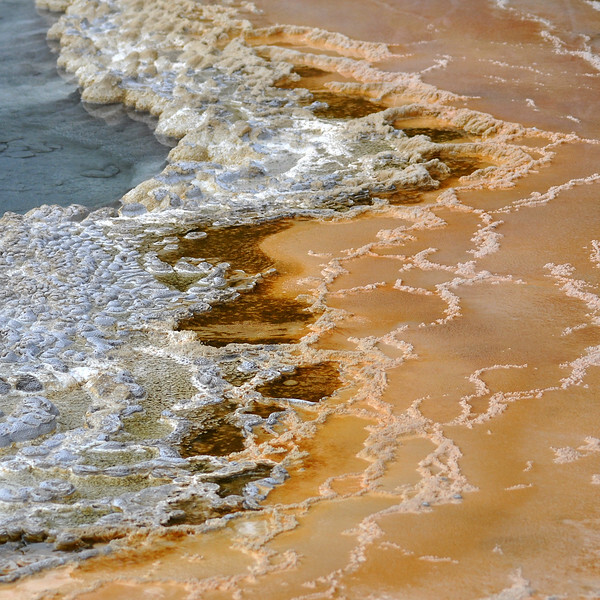 On the side of a hot spring and geyser on the hill overlooking Old Faithful in Yellowstone intricate patterns of travertine have been deposited. 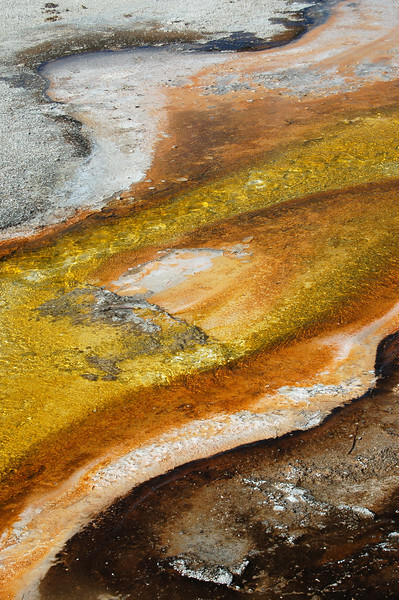 Wildly colored bacteria grows in the runoff of a pool at Mammoth Hot Spring in Yellowstone National Park. 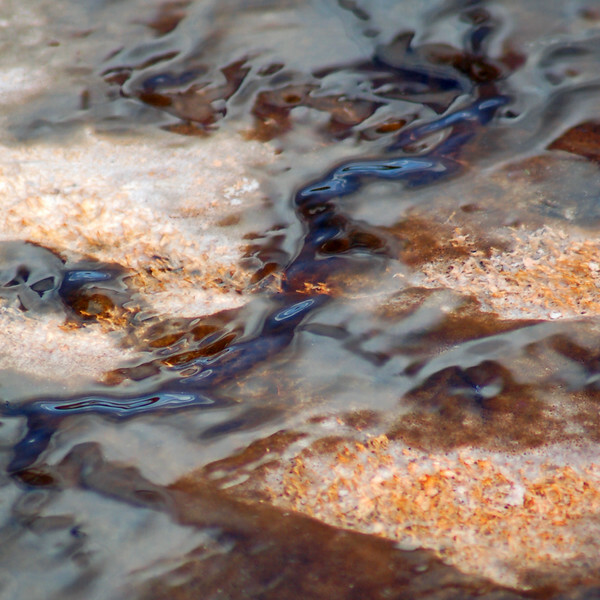 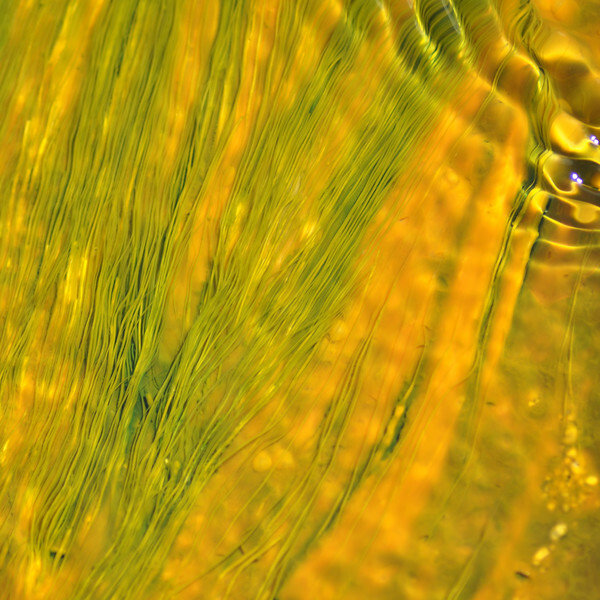 Dissolved calcium in the water collects into intricate patterns as it hardens. 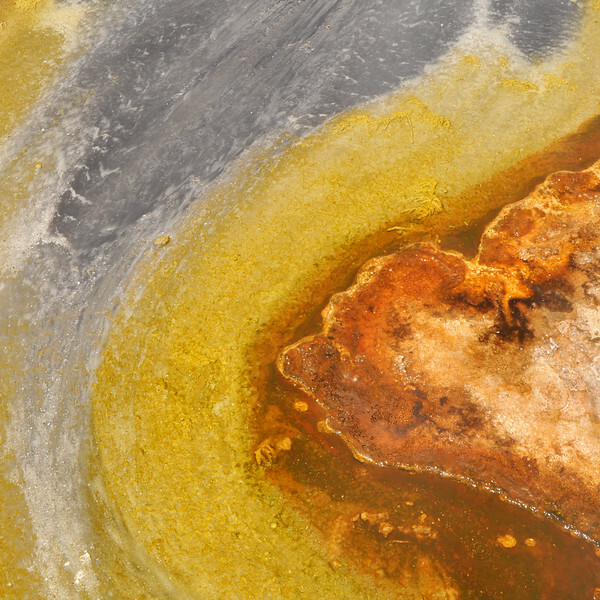 Once the water has been diverted elsewhere, the colorful bacteria coloring the surface while it's wet quickly dies. 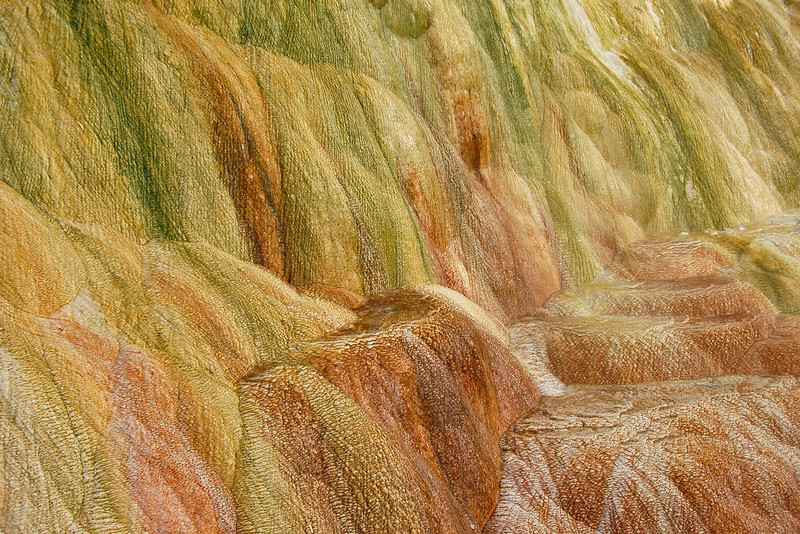 What is left behind is the travertine formed when the calcium dissolved in the water while if flows through underground limestone is deposited in intricate textures. 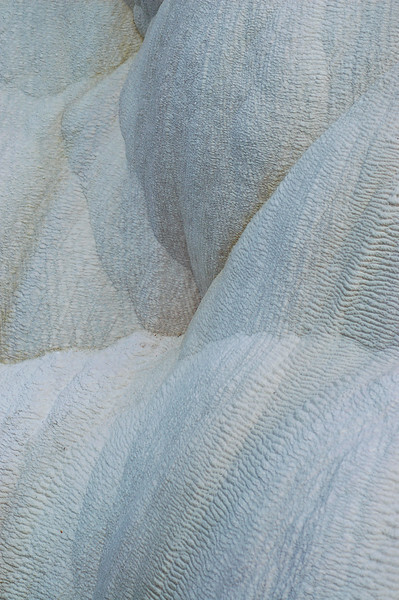 In a matter of a few years, these patterns will weather and disappear. 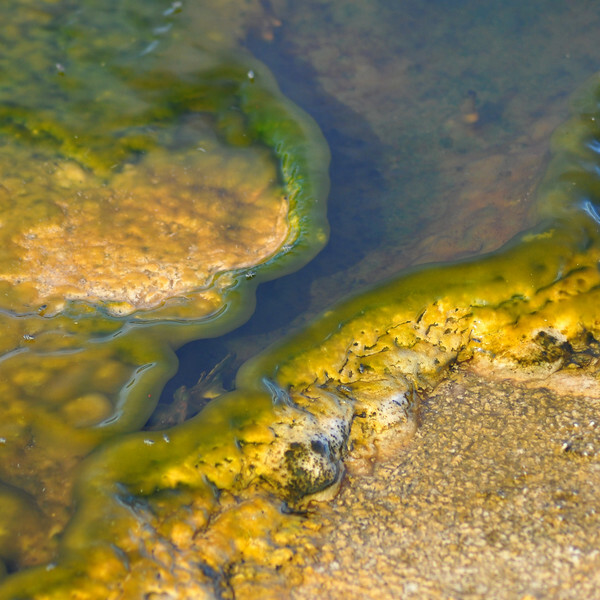 As water flows out from a pool in Yellowstone's Tom Thumb Geyser Basin many varieties of algae and bacteria color the underlying surface while it reflects light in a myriad of ways.